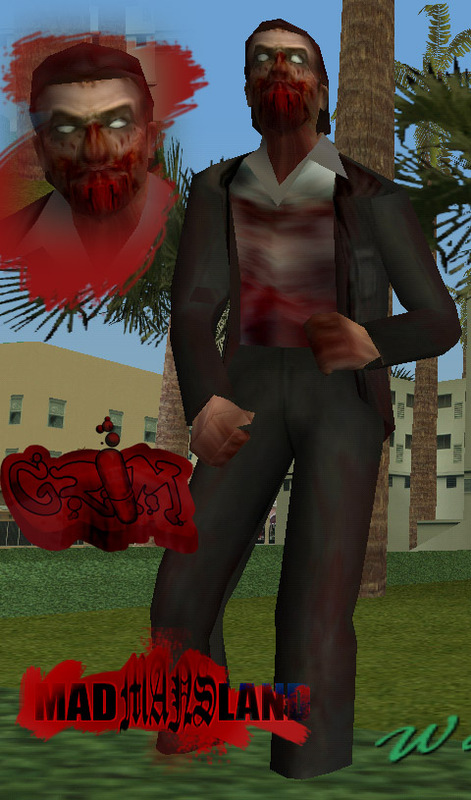 The Fighting Hellfish proudly present GTA: Long Night, a finished arcade horror total conversion for Vice City. Guaranteed to meet the Surgeon General's recommended daily allowance of zombie slaughter. Though be warned the version at the FilePlanet link crashes after completeing the third mission. You have to patch ONLY if you downloaded from FilePlanet. This patch fixes the problem where the game crashes after completing the first mission. Drop main.scm into the data folder. Everybody should grab this one. UPDATE: Officail video has been released. We're working on a walk-through. If you enjoy the game, post some screenshots of good zombie action. 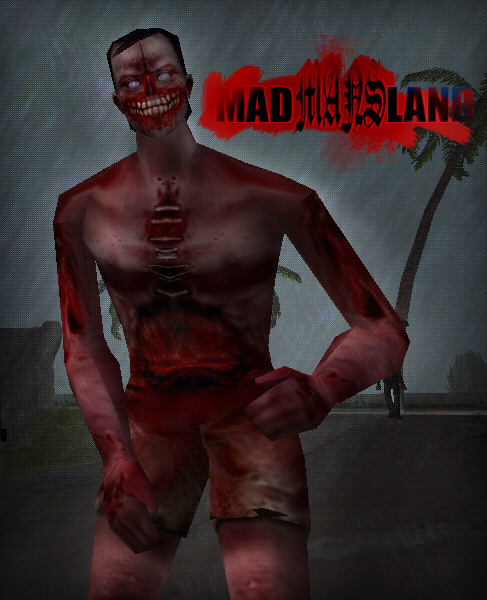 The mod has a very unique and interesting storyline, as well as hordes of bloodthirsty zombies, just itching to pull you from your vehicle and chew you to bits. The story line progression is something I truly admire, I think you'll like it too. The mod is beautiful, I hope you guys enjoy it as much as I have! OH MY GOD...... regaims conciousness two hors later. i have been looking forward to this ever since the demo came out (which is deffinetly one of the best mods for vice) and now its finally here YES!!!! My browser doen't let me go to Fileplanet! Hellfish can you upload it on filefront? Filefront is the only one that'll work on my Browser. PLEASE I'm begging you! I love the demo and I want the full version! Picallo, we've already uploaded the mod to filefront, we're just waiting for them to post it and send us the link. I'll post the filefront link here as soon as they send it to us. I just installed it and did the first mission.. but it crashes when i select "yes" on that guy below.. Problem sorted, this mod is the best ever..
Now i cant wait till i get home, i gotta have this mod! Commenting later. Looks very good. Well done. I'll be downloading this one in a second. Happened to me too, the first time I ran it. The next time on, it seemed to work fine though, oh well. i'm stuck now, the army guy died (i think) in some kamakazi, so i'm using this stoner guy, i've done 3 missions that i could find and now i can't find any more. Have i come across the sh*ttiest ending ever or am i missing something? cool, ill download it and give it a try, give me an excuse to use some of my vice skins. hopefully its as badass as it sounds, cant wait. out of curiosity, who made the player textures? meh, nm, itll probably be in the readme im guessing. neither links works for me. it might be on my side, not sure. Mealing, there isn't an ending unless you release Crazy Mike from his cell in the mission Cold Turkey. Sharkey, most of the player textures are from Rockstar, though the originals (Fat Albert) and zombies are our own creations. No, that's not the ending. After you complete all available missions, go talk to the Sarge in the booth by the smaller gate. If you're in a murder zombies mood, you can also talk to Hal the Swat, load up on weapons, and then walk up the stairs on the other side of the studio to exit. You can also take naps on the bed in Studio C, I believe it is. There's no spinning hellfish marker. We seriously recommend saving between missions. All new textures were developed in-house by the Fighting Hellfish. Thank's hellfish! I'll keep an eye out for the link! Mealing the final mission is only accessible if you've unlocked all the missions(by releasing Crazy Mike), and completed a few specific ones. If Fat Albert and the pimp showed up at the studio then you've unlocked them all, and simply need to complete the first pimp mission, "Pimped Out" to access the final mission. If Fat Albert never showed up then you will have to go back to the first Stoner mission and release Crazy Mike from his cell while at the Police Department in order to access the other eight missions. yeah my game crached there to why?? Road Warrior mod until it's Done! wow...the only word that can discribe this is wow. great work man great work. shows what the power of detemination and hard work can do. keep up the good work guys and i look forward to what you might do to sa if the hellfish are up for a real challenge. either way good luck and good work. Wow Wow Wow Wow! If I ever have to reinstall I am going to put this mod in as quick as I can. I was waiting to see if a mod would come out with new radio stations. Very detailed Zombies which makes it feel more like your playing Resident Evil. I like to call it Resident Theft Auto: Evil Vice. I have several problems, when I try to use the gta-ln.exe file, it keeps coming up with a message saying that I need to insert the disk, but it already is. So instead I use the original vice city.exe, which works perfectly up untill I reach the film studio after the first mission. All of the soldiers shoot at me!!! And where is the save icon? Apart from that, this mod is a masterpiece, best for GTA yet. Not sure about the "new" radio stations though, pieced together from random mission briefings and stuff. Every radio station has been replaced. However, the launcher implements the stations. Thus, if you are not using the launcher you are still rocking out to the 80's. You will find our stations nestled in the AUDIOLC folder. To play them ingame without the launcher, you have to rename them to the Vice City names, drop them in the regular AUDIO folder and use an illegal cracked copy of the exe. That's not our business though. We're trying to keep everything nice and legal. Is anybody else having this cd problem? What do people think of the new VROCK? The save icon is in between the two telephone booths, around the corner near the UFO. The soldiers should only shoot at you if you attack other survivors, or if you get caught in the crossfire while they take care of a stray fence hopping zombie. Oh my this is realy good! Tommy Vercetti! Remember the name! The mod is FREAKING AWESOME!!! Love the missions, though I'm stuck on the misiion, where you have to cover the truck with gas-barresls from the heli. But the mod's superb! if youre gonna make a secound mod with zombies i could skin youre peds if you want?